Christmas Day has come and gone but it is still holiday time! Since it is my favorite time of the year? Yes, I tend to hold it out until the very last day and on into New Year’s Day. 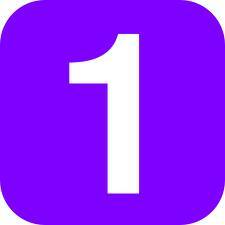 It also means a time for completing some around the house projects that have been placed on the back burner. This year it will be fence work and removing some unwanted trees, mainly the things that there is no time for during the regular work week. There are still things that I have to get done before Christmas vacation is over, places I need to go and take care of some errands. I am determined it is still Christmas!!! It’s not over….. I am still hoping in a small corner of my mind that my Brother and his family will be able to squeeze in a visit before they return to work and school. Hope. (Hatikvah) has proven to be one of my most favorite words this year. It has become almost a life-preserver for me during this past year. So I hope. We had already discussed the possibilities of a visit, and the last word was a “we’ll see”. Now, in my vocabulary that has always meant = probably NO. I pretty much had figured it just wouldn’t work out for this year, and after the phone call later that evening? I knew he had heard the disappointment in my voice, although I tried to be the big Sister. I assured him it was okay, and that I understood. (He knows I am a big baby when it comes to seeing them) Yes, I was disappointed. He already knew I was, but I didn’t want to make him feel any worse about not being able to come for a visit. All the while, the only thing I heard myself repeating on the drive home was “They’re not coming” and wondering how many busy months would pass until we would get together. August through December is a short amount of time, unless you are away from family members and especially if you have rapid growing nephews. Friday morning… we are busy. We are fencing and it takes all three of us, working down in the field. It’s noisy with the equipment running although we had our phones in our pockets. A few hours pass and I receive a text from my brother. “What are you all doing”… replied.. working on fence. I returned the phone back to my pocket. Knowing that he would probably just call me later. A few more hours pass away on Friday and we are almost finished with the fence. Text message again… “Are you finished yet?” replied.. nope, not yet. I’m still thinking, how much I wish they were coming for a visit.. but knew it would be at least late spring or summer before that was going to happen. I knew that my nephew would soon be back to baseball season and there would be few weekends that they would even be home. I go back to helping with the fence. Another hour passes and I get yet another text message asking is the “field” open. He doesn’t know my eyesight is not what it used to be.. I wonder why in the world is he asking me this? 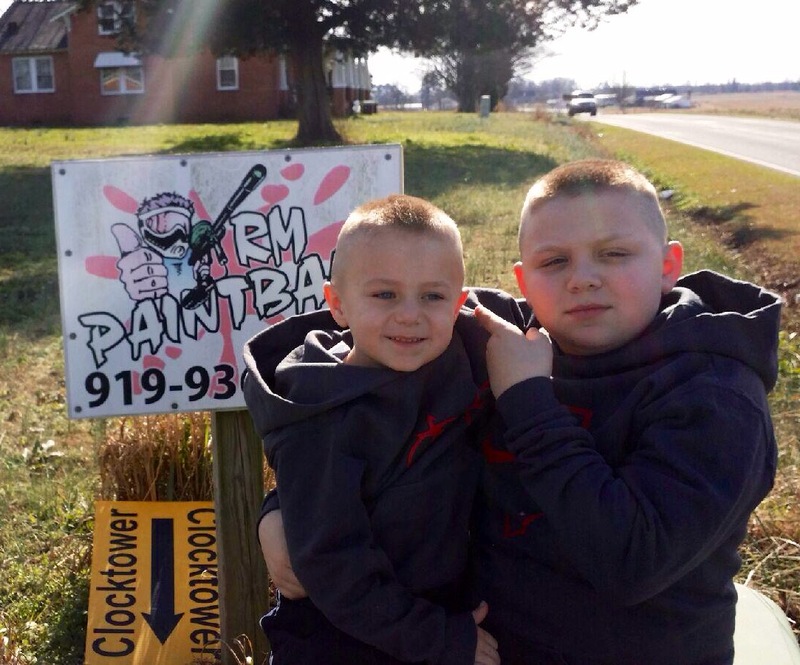 Then I get a text with a picture of both of my nephews standing beside of one of the signs that mark the paintball field? I glance at it thinking it was a photo he came across last year. I return my phone to my pocket. (Okay, so I’m a little dense sometimes…he already knows this) I’m sure he is wondering why I have no response. Finally, he calls on my husbands cell and asks if I have my phone on? Yes, she does but maybe she didn’t hear it ring. He passes the phone to me. I’m still wondering why he is calling.. I already told him I was in the middle of the field working on the electric fence and setting posts? Busy. At the beginning of our conversation, he says “What are you doing? … I’m working! Is something wrong? he says “no, nothings wrong.. didn’t you get the picture?” I replied “yes, I got it” Still being my dense self here. (weird that there is only one letter missing from my actual name? maybe this is not a coincidence…hmmmm) Do you see your nephews in the picture.. I said well, yes…he said “look again” ……. For the first time in my life, my brother has pulled a big surprise over on me. A Christmas surprise. I still had a little bit of hope left that they would be able to visit. I’ll admit that it had gotten a little smaller by Friday morning, but it was still there. I immediately said “Where are you?” You’d better not be lying!!!!! Are you kidding around? Are you here??? He said “Well, are you home or not? Do you mind us just dropping in because I am in your driveway? By this time… the tears were already beginning to form. I still tried to be the big Sister, but that didn’t last long when I looked up and saw my nephews running through that field. Hatikvah. I don’t go anywhere without it. Needless to say, our visit from Friday through Monday was awesome, and always goes by way too fast, but I am so thankful that we were able to spend some time together. My nephews will have grown even more by the next visit, and so will my daughter but for a few days, time was ours. 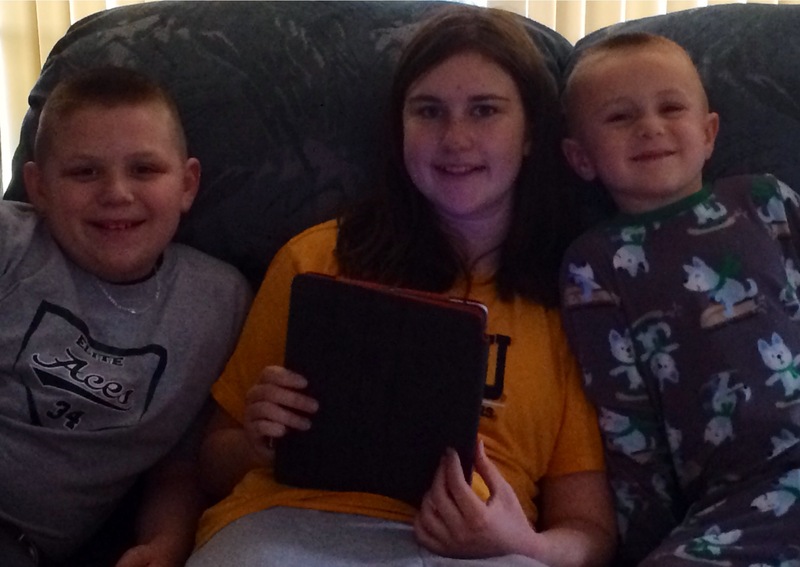 Cousins were busy playing inside, outside and having late nights… as it should be. Yes, this year has been full of surprises… I’m counting my good ones!!! Always have hope..especially in the important things that are close to your heart. God knew all along how to reinforce my Hatikvah (Hope). My brother had no way of knowing the implications of his “Surprise” – but I have a feeling he knows exactly how much it meant to his Sister. ‘Twas the week before Christmas and all through my house…..
All of my decorations have been up since before Thanksgiving. I have baked cookies, pumpkin roll and muffins. Christmas music has played in the kitchen, in my car and on my iPod at night while I sleep, so why is under my tree still practically empty? I can remember a time when I had all of the gifts purchased by Thanksgiving and the rest of the shopping was just odds and ends. Not so, this year…I have a long way to go before December 24. I have surrounded myself with memories from Christmas past, wrapped up in my Momma’s favorite blanket, and reminisced about the times with Hannah’s grandpa. To say that it has been an emotional year is a total understatement. I can’t say that this Christmas has been a “sad” season, it really has not. Of course we are feeling the loss this year, but the people we miss are in safe keeping until we see them again. I just haven’t had the desire to buy gifts. What do you buy people who have everything they need? How do you surprise someone with things they probably already have? Don’t misunderstand, I love to give gifts.. it’s the difficulty in knowing what to give materially. Every year we get together and decide that we had not spent enough time in one another’s presence, every year, we vow to do differently. Time. You can’t say that it wasn’t well spent? It just gets spent. People are busy, busy, busy. It doesn’t mean we dislike one another, it just means that we all travel in such different circles during the 365 days prior. The most frustrating part of the holidays is trying to cram a years worth of catching up into a day. It just doesn’t work that way. Maybe it’s the expectations we put on Christmas itself? Once the day is past, the cheer and well wishing all seems to come to a screeching halt. It’s very disappointing. Yes, it is only a week before Christmas and I still have plenty to do, but my goal is to make this last week count, and work towards doing better when the New Year rolls around. It’s not a resolution, I don’t make those, but an effort to be a better me in the days to come. I will be rushed, and frustrated with the shopping, I know this before I ever leave the house, but I will try to grasp the good moments that come in between. Maybe next year….. There will be less procrastination? We’ll have to see about that. For the remainder of the week, I will be wishing that Christmas could last just a few weeks longer…that the feeling of Christmas would not disappear after the New Year. If you end up shopping on Christmas Eve? my heart goes out to you! Please remember to be kind to those hurrying as you are…don’t disregard the last ringing of the red kettles.. and before the year ends? Be a light for someone on your way whether it be monetary or material..maybe just a gift of encouragement. God still loves a cheerful giver, and you never know who He will put in your path this Christmas. So I make my way today.. wish me luck or at least your condolences, hoping to make the day count. Looking for unexpected opportunities in the days ahead, and New Year too! Sssshhhh…You know you have to be quiet when you are pretending to be asleep, waiting for Santa. How many times do I remember my brother and I trying our best to stay awake. The cookies and milk are in place and we are supposed to be sleeping. Santa always eats them, and sometimes even leaves us a note. Christmas Eve is the longest night of the year for a kid, but as an adult, it is the busiest time getting all the presents in place, and making sure that you haven’t tucked something away and forgotten where you had hidden it. I’ve found things weeks later. I often wonder how many of our things found the same fate as a child. There are so many sights and sounds that I relive during the holidays. It can be painful and make you smile all at the same time. There are things I miss, things that will never be repeated. 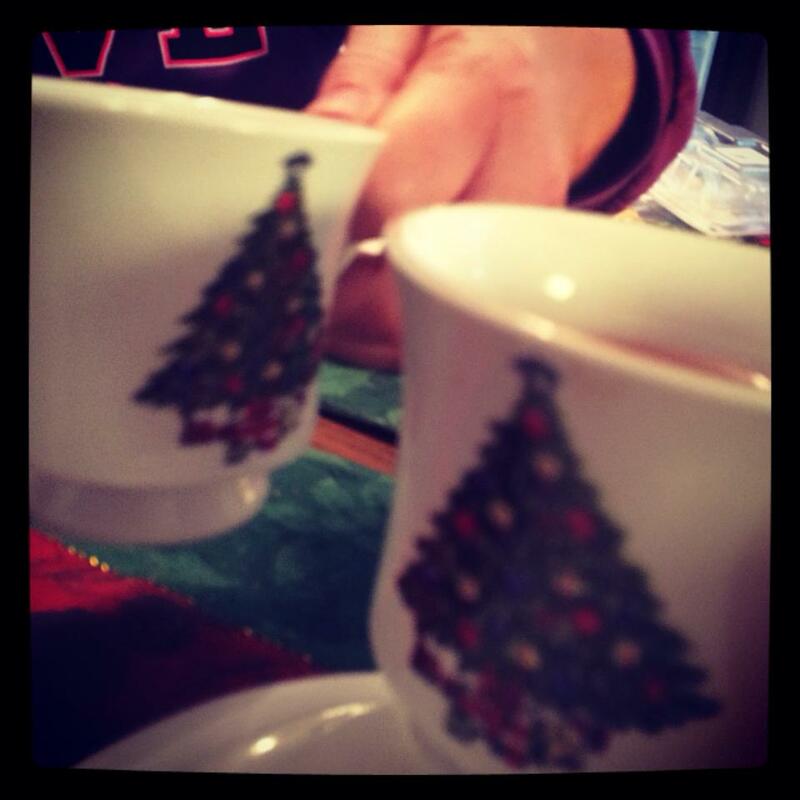 Traditions, memories, and even smells that will trigger them automatically. Today, I will attempt to list them. The mind never plays them out in any particular order, they are just memories, randomly appearing when you least expect them. So here you are welcome to follow along, back to my mountain home in a coal mining community, where the snow was always beautiful and the fireplace was always crackling. I miss seeing downtown lit up at Christmas, shopping as a family and later stopping in to eat at the Lock Stock & Barrel. I can still hear the local WXCC Coal Country radio station giving the hazard weather report and Mom asking if we should head home instead of lingering in town. Daddy always said, “nah, we’ll be fine.” I never doubted his driving. I always felt safe when he drove, regardless. 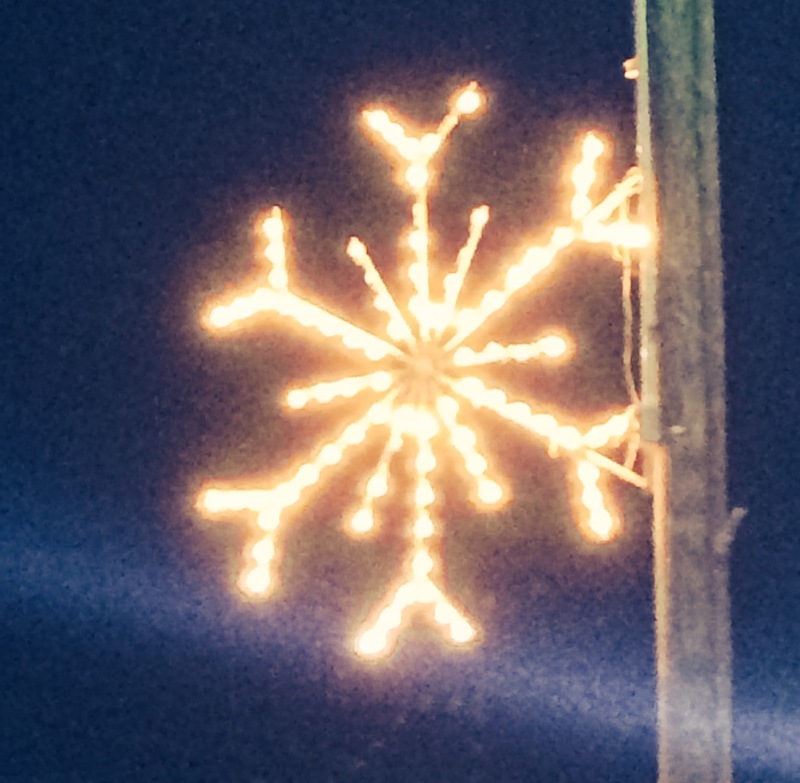 The stop lights in town seemed to glow against the blowing snowflakes. I remember how magical it felt, warm in the car and the occasional swoosh of the wipers. I think I may have been a little sleepy too. We would venture to the annual National Guard Armory Christmas party. Some of our cousins would be there, and so would Santa riding in on an army jeep. There, my brother and I would stand in line, waiting to talk to him, and getting the usual brown paper bag filled with fruit and nuts, and a candy cane. Since Daddy was KP we would be there until everyone left, helping in the last of the cleanup, if we were lucky we could play basketball in the gymnasium until it was time to go. We almost always had snow either before Christmas, during, or after. What I wouldn’t give to pile on top of one of those mining curtains again and take that ten-second sleigh ride to the bottom of the hill. About eight of us flinging off of it in different directions. If you were lucky, you were the one that “didn’t” end up going into the creek. We burned tires, wood, anything to stay warm and whatever enabled us to stay longer. I miss the crunch of the snow on the long walk home. Even with the Betsy Ross bread bags in the layer of my socks? We seemed to manage having wet feet more than I could today. The oven was always baking something during the holidays, hot chocolate was always on the stove burner. You could usually find a banana split cake in the fridge by Christmas Day. My Momma always cooked the turkey, and daddy’s specialty was the glazed ham. You can be sure that they were always competing in the kitchen and we reaped the benefits. My Aunt Moe’s yeast rolls would always find their way to the house, and they seemed to last all of four minutes. Oh, the smells of those kitchens. The closer it came to Christmas Eve, the more I delighted in knowing that, being older? I would be part of the toy testing process for whatever my brother was getting. (yes, I bragged about it after every year) “I played with it first” ha-ha. What else are annoying older sisters good for? Who wants to be the responsible one all the time? I didn’t. It usually went without a hitch until something contained noisy parts like marbles, or a toy that was animated in some way. I don’t know why my Momma bought those things, because Daddy always performed surgery on them and took the noisemakers out. We had a game called “Lay an Egg” the chicken clucked and the egg rolled out…a few days later? The chicken just went around and had a thump..and then the egg. The clucking mechanism was no more. Apparently, Daddy figured if it still laid an egg, it worked and just didn’t get on his nerves quite so much. 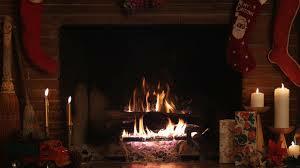 The fireplace was always glowing, unless my brother was being slack on getting in the buckets of coal before bedtime. (mucho trouble came hastily his way for this one) We always blew black soot from our noses, but so did everyone else that heated with coal. It was the warmest type of heat. I have fallen into a hazy sleep many evening in front of that fireplace, with the noise of Daddy watching football games. I would only be awakened by the sound of a good play, then I would drift back off again. Our tradition was to open gifts on Christmas Eve, saving only one for Christmas morning. The entire day would be spent in leisure, people in and out, just enjoying the day. I can still hear my Daddy answer the phone with “Merry Christmas” instead of hello the whole day. I smile thinking of how easy the holidays seemed back then, maybe because the focus was different? Maybe because it is my memories, and that’s how I choose to visit them. May you find the balance in revisiting your memories of sights and sounds of Christmas past… make peace with them, and focus on the good things that come to mind. We have 363 other days out of the year to focus on the opposite. Share your memories with your own children, no matter how small. I’m pretty sure the next time I drive past someone’s smoke-filled chimney, and smell the air, I will be lost…. a child again in a warm place…surrounded by the sights and sounds of Christmas past. I will be “home” in my heart. How do you make it through the “firsts” of everything following losing those that are close to you? There are no easy answers. The truth is they hurt, and they become part of the process of grieving. I have personally found that the days leading up to birthdays, anniversaries, holidays, and other special occasions are much worse than when the actual day appears. Maybe, it is because by the time they arrive, you have exhausted and worked through the emotions? Regardless, the “firsts” will come and on to the next occasion without them. Things are never the same, they are much more difficult and require us to adjust our days. There will always be subtle reminders that appear in our daily lives, reminding us there is a void. So what do you do? You have to learn from your experience, not so much for yourself, but for others that will eventually travel some of the same paths. You have to have compassion for those that are new to the experience. You have to make the choice to find something good to come from your suffering. More importantly, you have to allow a person their right of passage in grieving. Everyone grieves in a different way, mainly because most of the time the relationships we have with those gone on, were unique and different. It doesn’t make one more important than the other. This is where we fail to show empathy to one another because we try to make our loss greater than someone elses. It is unfair to everyone involved. It shows selfishness on our parts in the worst kind of way. I have found that the “Firsts” are managed a little easier if you find a way to pay honor on those special days. Have their favorite meals, go to their favorite place, or just spend some quiet time reliving the good you gained from knowing them. Take what you learn from grieving and use it for the better towards someone else. There is a part that is just “survival” going through the motions. It’s okay, to function in this manner until you are able to find a healing place. The worst mistake we make is judging one another’s methods. What works for you, may be the opposite for someone else. No two people are alike, any more than how we deal with loss. Please take time to be kind to those feeling loss during the special days and seasons. Be respectful in the manner they choose to grieve. If you are not there.. rest assured you will be if you live long enough. Do what you can to help ease the pain of others. You can’t fix it for them, but sometimes just knowing someone is listening, makes a world of difference. Maybe to the outside world it appears everyone else is fine, don’t assume this to be truth. Remember, we all deal with loss differently. Yes, this year we feel the loss, there is nothing that will make that go away. It is another “first” that has to come in the steps to go forward in the process. Share your memories, share your tears and survive. Sometimes that’s enough for the first year without our loved ones, and it’s okay….it’s a process.